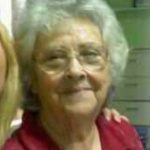 Edgefield, SC – Jeanette S. Nimmons, 83, wife of Melvis H. Nimmons, entered into rest Thursday, February 7, 2019, at Augusta University Medical Center. Funeral services will be held Monday, February 11, 2019, at 1:00 PM from the chapel of Chance & Hydrick Funeral Directors with Pastor Paul Babb officiating. Mrs. Nimmons, daughter of the late Montine Shumake Jowers and Jesse Shumake, was born in Jefferson, GA, and retired from Nursing from Doctors Hospital. She was a volunteer at Helping Hands Ministry, Team Kidd Fish, and was a long time member of the CSRA Worship Center where she taught Sunday School and Childrens Church for many years. The church’s nursery was named “Nimmons Nursery” in her honor. She was preceded in death by her daughter, Melissa Nimmons, her grandson, Elijah Fulmer, and her sister, Audrey Ramsey. In addition to her husband, she is survived by her children, Marsha Fields, of Chimney Rock, NC, Sheryl Huffstickler, of Dallas, NC, Larry Fields (Gail), of North Augusta, SC, Tara McLean (Christopher), of North Augusta, SC, and Phillip Nimmons (Beth), of Edgefield, SC; her grandchildren, Bonnie, Bill, Carrie, Anna, Candice, Heather, Tripp, Melissa, Jesse, Caralynn, Thomas, Dylan, Brianna, Katie, Wyatt, and Isabella; her great grandchildren, Ava, Mason, Ayden, Emmarie, Jaxson, and Aubrey; and her sister, Pat Burtt, of Augusta. Pallbearers will be Christopher McLean, Timothy McLean, Joe Widner, Phillip Nimmons, Larry Fields, Tripp Fields, and Jesse Waldrop. The family will receive friends, Sunday, February 10, 2019, from 5:00 until 7:00 PM at the funeral home.